You'll be in command of the kitchen when you go in this plus size head chef costume! 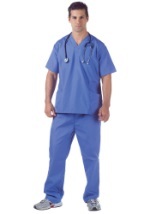 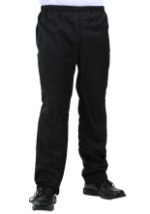 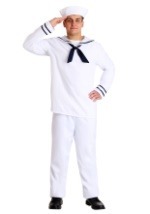 The uniform shirt is polyester with black trim and matching black buttons. You are sure to sizzle in this double-buttoned shirt with the words "master chef" embroidered in black across the left chest. 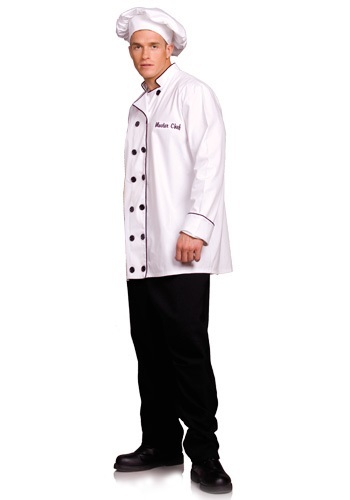 Included is a tradition chef's cap. 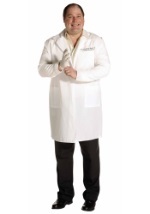 Whatever you do, don't give away your secret recipe for greatness when you go in this plus size chef costume!